He was in charge of the master design (including full business support) for the entire renovation of the HAN GUANG DEPARTMENT STORE in Beijing. 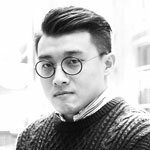 Since 2016 he has been in charge of designing as well as providing leasing services for the Kuala Lumpur Quarza Mall. He also has experience in hospitality with projects such as the Dalian Shangri-la Hotel and the JEN Hotel in Shenyang for which he did the concept and schematic designs. Overseas Second Operations Division, International Design Division, Design Director，American Institute of Architects (AIA), Master’s degree in Architecture. 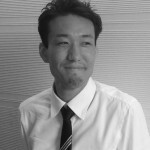 He has experience in retail, office and residential design in the United States, Japan and Asia. His key projects are the restaurant ADD in Marco Polo Hotel Hong Kong, Bandai Namco Studios Headquarters, adidas Japan Headquarters (Asia Pacific Property Awards) and MetLife Japan Headquarters (Herman Miller Liveable Office Award, IDA Gold & Silver awards). 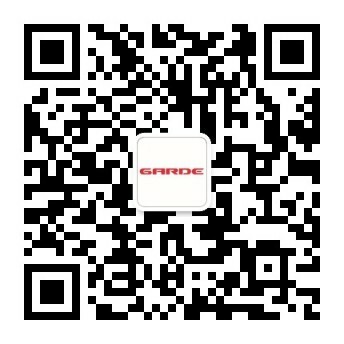 He joined GARDE after working in Italy. In 2014 he made a success of the renewal of the Doota! shopping center in Seoul for which he was design director. 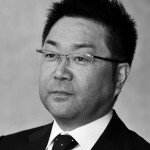 Some of his projects since 2015 include Barneys New York in Roppongi and Hyundai City Outlets Dongdaemun in South Korea. In 2016 he designed the office of the world famous video game creator Hideo Kojima. One of his projects, the Emporium concept shop in Baku (Azerbaijan), won the Best Retail Interior in the International Property Awards in 2011. He is responsible for the design of brand stores in Milan and interior design for restaurants. In 2014, he was responsible for the project SUSHI B, a Japanese restaurant with fusion cuisine located in Brera district, the heart of Milan. He joined GARDE after working as a Creative Director for the construction of the Universal Studios in Japan. He is specialized in theme parks and residential projects. He has been responsible for several projects in Japan, US and South-East Asia such as 40/40 Club Jay Z in Macao and the Far East Department Store in Taiwan. 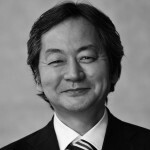 In 2005, he was responsible for the execution of the Barneys New York in Ginza as well as the renovation of the Barneys New York in Kobe, Fukuoka, Shinjuku and Yokohama, contributing to Barneys' space design. 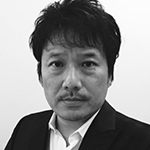 He is an interior designer with an extensive experience in retail and residential design like the Brillia Tower Meguro for which he did the public spaces in 2014. In 2015 he was also in charge of the ACQUA GRAZIE bridal. He specializes in shared spaces environment design, exterior and facade design of shopping centers and department stores. Starting mainly from projects in Shanghai he now extended his activities on the Chinese territory. In 2016 he was in charge of the environment design for the Food Paradise food court in Shanghai, several Joy City shopping centers and the Sunshine Paradise Fuzhou shopping center. In 2017 he came back to Tokyo and has been working on large scales projects since then. In charge of the design direction for the Candeo Hotels, he also specializes in business supervision and the production of projects related to shopping centers. Lately he has been coordinating famous designers to take part in residential projects such as Yabu Pushelberg for the SKYZ TOWER & GARDEN project and Alan Chan for BAYZ TOWER & GARDEN. He was responsible for the design and supervision of four floors (2F~6F) during the renewal of the Hankyu Department Store Umeda Main Store. 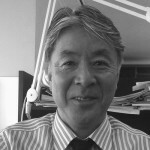 He has experience designing large-scale shopping centers such as Mitsukoshi Ginza where he designed the 3rd and 4th floors. In 2014, he was responsible for the overall concept design of the shopping center Doota! in Seoul. He is specialized in the design of large-scale shopping centers and amenity spaces. 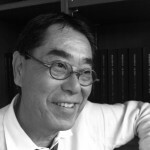 He was responsible for the schematic design and environmental design of the Hankyu Department Store Umeda Main Store in Japan. Involved in several large scale projects in China his Joy Yard project was awarded the Asia Pacific Property Awards in 2015. His achievements in China also include Joy City Shanghai which opened in 2016 and the China Resources Dreamport Beijing planned for opening in 2017. He studied interior design in the United States and acquired experience in projects from shopping centers to F&B and hospitality. These last years he has been working from Hong Kong and taking part in several projects within Asia like the VIP lounge and office club house of commercial facilities in Guangzhou, China, the Marina Bay Sands' food court Rasapura Masters in Singapore , the Jaya Grocer's food court and the Quarza Mall shopping center both in Malaysia. After taking part in the renewal of the TASAKI store in Ginza he became a member of the Asia Pacific Division and started working from GARDE Hong Kong office. From here on he worked on the VIP area for K11 in Guangzhou, China and was in charge of designing the Xi'an InCity shopping mall which was awarded the Asia Pacific Property Award 2017-2018. He was also in charge of designing the Shuiwan 1979 Shenzhen Trade Center in China. After he finished Chinese large commercial facilities' design and supervision on site, he migrated to HongKong. He worked as schematic plan, schematic design for environmental design of PARKSON Department Store in Malaysia and renovation of GRAND Shopping Center in China, Harbin. He is responsible for extensive projects in China and Southeast Asia. She worked in an architectural firm in Milan and took part in the development of the train station in Reggio Emilia, Italy. 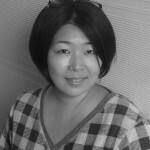 After coming back to Japan, she was responsible for the environmental design of Mitsukoshi Ginza and the Keio Department Store LaLaport Fujimi. 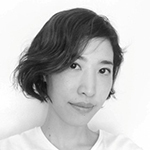 In 2016 she took part in the Barneys New York Roppongi project and was responsible for the full concept design of the DAVINES store within Omotesando Hills. After achieving a master degree in Architecture at the University of Florence, he specialized in Italy in housing and retail projects, as well as heritage buildings restoration. 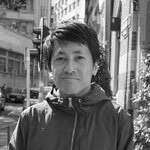 Since 2014 he has been involved as designer at GARDE, operating in Japan and Korea, China and south-east Asia, involved in several project scales, such as retail shops, commercial facilities, corporate offices, residencial/hospitality and department stores. After achieved a bachelor degree related Interior design, he was participated in project management in local architectural firm. 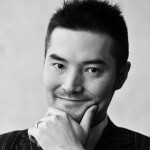 In GARDE, his involved in several design projects which based in China and Southeast Asia region such as Shangri-la Services Apartment in Dalian, Hotel Jen in Shenyang, K11 Office Clubhouse in Guangzhou, Rasapura Master in Singapore Marina Bay Sand, Quaza Mall and Jaya Grocer in Kuala Lumpur...etc. He works as interior design for many years. He has rich design experiences in retail store and store visual display. Now he is participating in MET1＠KL Metropoils in Malaysia and STARLIGHT 68PLAZA in Chonqing in China. Mainly responsible for overseas luxury brand stores, he worked as a local architect for the BALMAIN and VALENTINO shops in Omotesando Hills as well as GUCCI shops in the Hankyu Department Store Umeda Main Store and Isetan Shinjuku store in 2016. He was Chief Design Architect for the JIMMY CHOO store in Kobe. 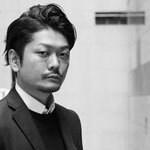 He has worked as local architect for several projects, such as the DOLCE & GABBANA store in Osaka Midousuji and the BOTTEGA VENETA store in Ginza. From 2007 to 2010, he worked on the re-branding and material development of the store concept for the TASAKI store Ginza and also worked on the full design of the Tokyo Midtown store. She works as a local architect for luxury brand stores and in-shop stores inside department stores, such as SEE BY CHLOÉ. She also designs large-scale boutiques, such as the SAINT LAURENT store in Omotesando. In 2016 she worked as a local architect for the BOTTEGA VENETA store in Kobe. 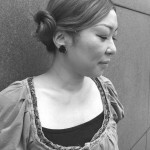 She works as a local architect for many overseas brands. 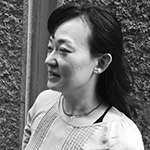 Some of her projects include the VALENTINO store within the Kobe Daimaru Department Store, JIMMY CHOO stores in Mitsukoshi Ginza and the Matsuzakaya Nagoya Department Store as well as the DIESEL store in Fukuyama Sun Station. He is mainly involved in design projects for apparel and cosmetics brands. Some of his projects include the L'OCCITANE store at Atré Ueno, the GUERLAIN store of GINZA SIX and the HUNTER flagship store within the Tokyu Plaza Ginza. 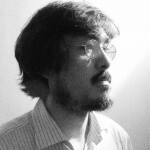 He also designed furniture for the KODERA TOMOKO exposition. After working several years in the United States as a designer she came back to Japan in 2016. After her return she worked as local architect for the La Perla stores of Aoyama and Ginza as well as UGG's Ginza flagship store. 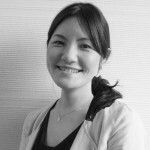 After working on the environmental design of Mitsukoshi Ginza and the Hakata Hankyuu Department Store, she took part in several projects for an interior design company in Taiwan. After coming back to Japan she has been working on the BOUCHERON Omotesando store, and the Pomellato store within the Takashimaya Department Store Yokohama Store. She was in charge of the lululemon athletica store within GINZA SIX and now works as local architect for in shop and flagship stores of several brands. 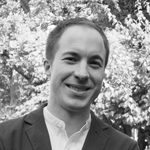 He is involved in several projects from conception and CG renderings to planning and design. For GINZA SIX he was local architect for many brands including Giuseppe Zanotti, Manolo Blahnik and PERRIN. He also was in charge of the Christofle store in Aoyama. 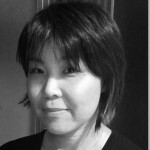 Since 2016 she has been involved as local architect for GUCCI including the Women Hankyu Umeda and Isetan Shinjuku stores. She is also currently involved the renewal of the GUCCI Ginza store.